Do you dream of being a magical mermaid? Peppa Pig and Rebecca Rabbit wish they were mermaids, too. 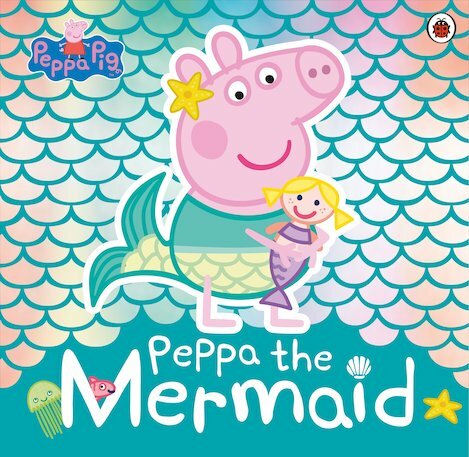 But in this funny story covered in sparkly mermaid scales, Peppa gets real life and her daydreams a bit mixed up! So she invites all her friends to a swimming disco party at her house. It’ll have starfish-shaped sandwiches and a real beach for mermaids to sit on. But Mummy and Daddy Pig aren’t ready for this at all! Can Rebecca come to the rescue with a clever party plan?